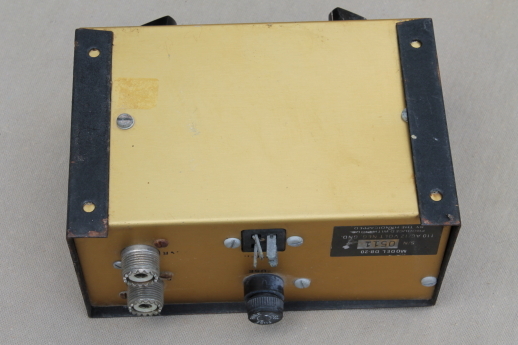 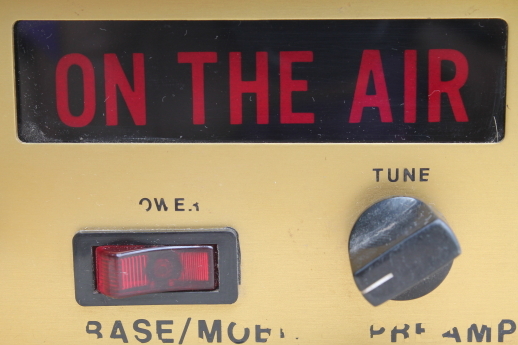 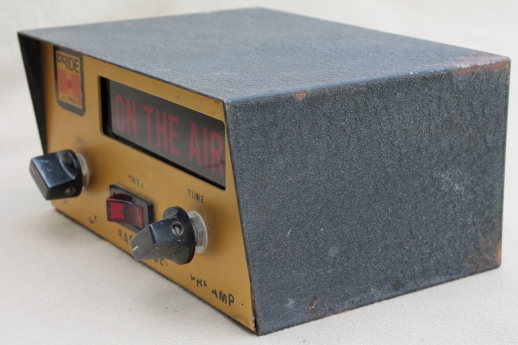 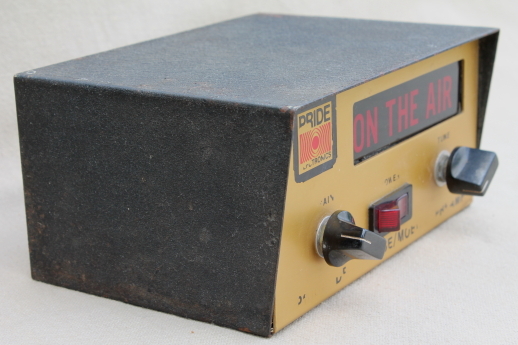 Vintage shortwave or CB radio preamp with a light up ON THE AIR sign. 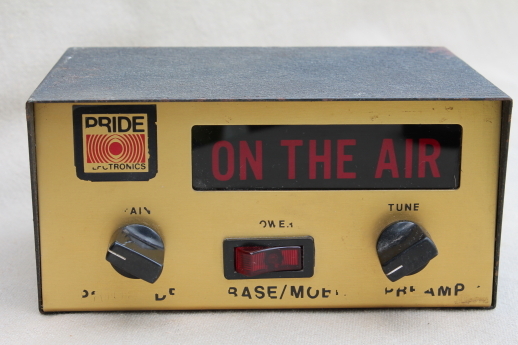 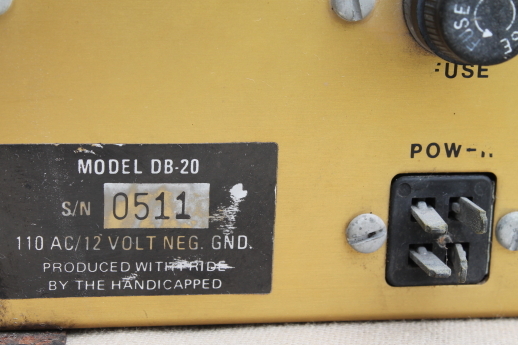 This is a Pride Electronics model DB-20 for restoration or parts. 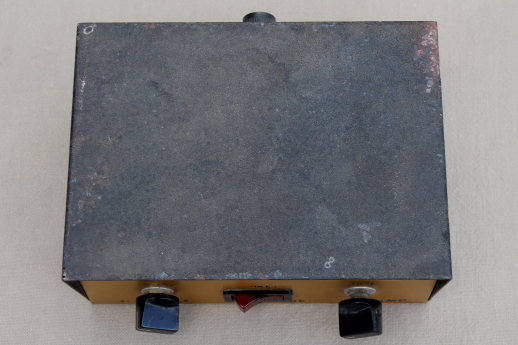 It measures about 6" long and the paint is worn. 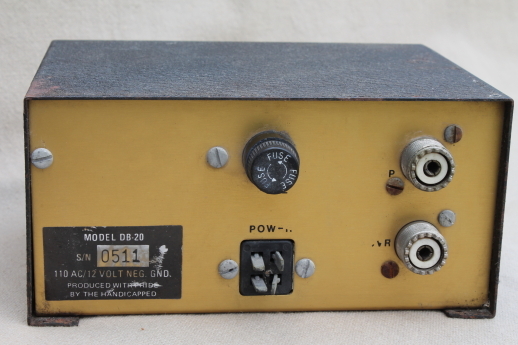 We don&apos;t have a power cord and haven&apos;t tested it.